PRODUCT: EternaBond UV Protector Paint, WHITE (Tintable), 1-Quart Can. Price/Can. 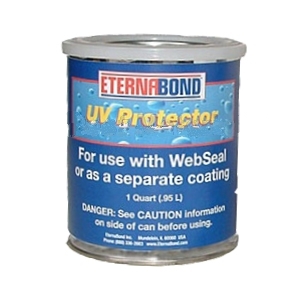 For use with Eternabond WebSeal Leak Repair Tape and other applications needing good UV protection. Brushes on easily and is used for protection against harmful UV rays on areas exposed to sunlight.